Apple has today been hosting an education-focused event at the Lane Tech College Prep High School in Chicago, and as expected it has taken the wraps off a brand new iPad. The new device is designed to take on Google’s Chromebooks in the classroom, but will no doubt find an appreciative audience outside of the education system. 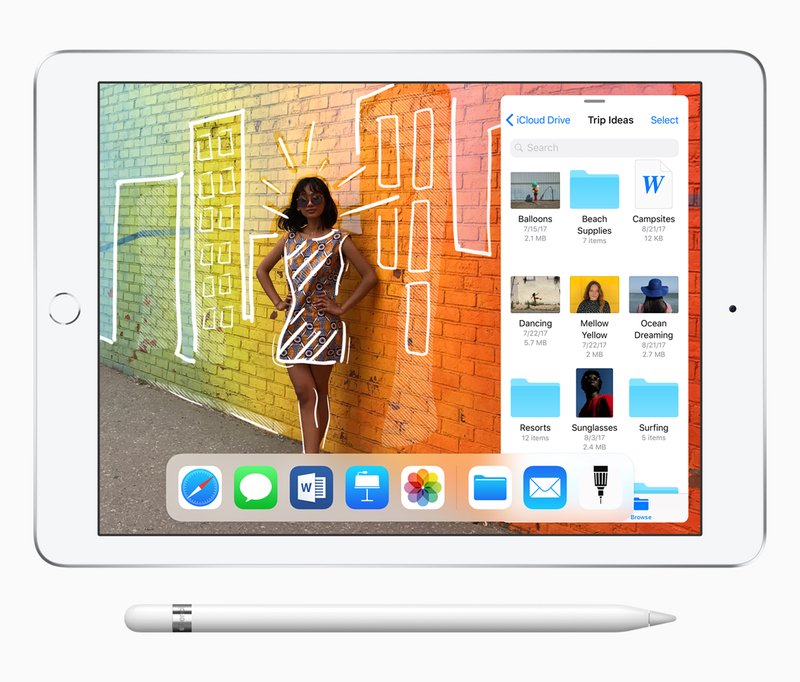 The new 9.7in iPad, Apple’s most affordable, works with the Apple Pencil, the first non-Pro device to do so. Pages, Keynote, and Numbers have all been updated with Pencil support too. The new iPad, called simply iPad, has got a 64-bit A10 Fusion chip -- the processor first introduced in the iPhone 7 and 7 Plus -- and supports 300Mbps LTE. It has a Retina display, naturally, and delivers an expected 10 hour battery life. It has front and rear cameras, there’s a compass, GPS, a TouchID sensor, and because it’s an iPad, it’s very light too. Apple says it weighs 1 pound. "iPad is our vision for the future of computing and hundreds of millions of people around the world use it every day at work, in school and for play. This new 9.7-inch iPad takes everything people love about our most popular iPad and makes it even better for inspiring creativity and learning," said Greg Joswiak, Apple’s vice president of Product Marketing. 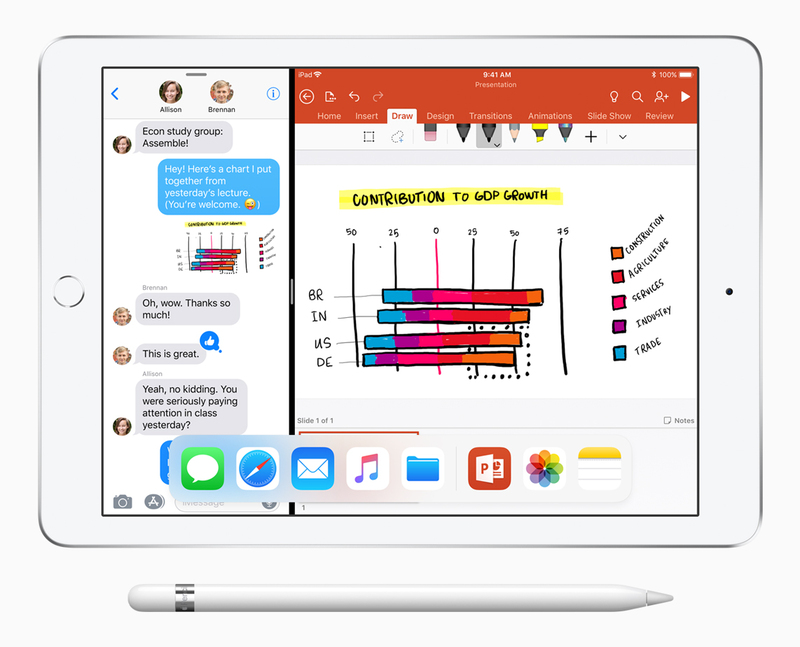 "Our most popular and affordable iPad now includes support for Apple Pencil, bringing the advanced capabilities of one of our most creative tools to even more users. This iPad also has the power of the A10 Fusion chip, combined with the big, beautiful Retina display, advanced cameras and sensors that enable incredible AR experiences simply not possible on other devices." Because it’s aimed primarily at students, Apple has boosted free iCloud storage from 5GB to 200GB. The new iPad comes in silver, space gray and a new gold finish. It is priced from $329 for the 32GB model, but Apple’s education discount will bring this down to $299 in schools. The 32GB Wi-Fi + Cellular model costs $459. It’s available to order starting today, and shipping should begin this week in 25 countries and regions. 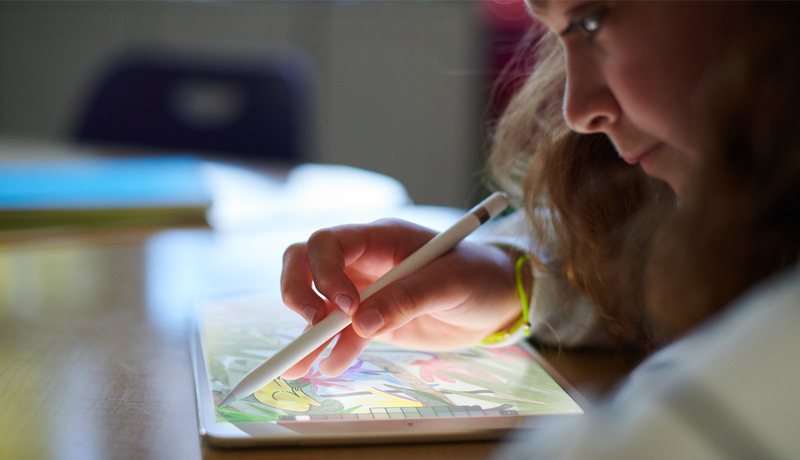 Apple Pencil is available for purchase separately for $99, with a $10 discount for schools.